At Zen, we’re always up for a challenge – whether that be enhancing knowledge of our industry through training, testing ourselves physically in colour runs and triathlons, or trying out something completely new – such as pottery or climbing. And, one of our most recent challenges saw the team tasked with getting onto a game show! And next up was me :) I’d applied for a brand new BBC One Show called ‘Hardball’, and following my paper application I was called by the casting team for a telephone interview – essentially for them to get to know a little more about me and to initial rapport, as well as to check that I could answer at least a few general knowledge questions correctly! I was thrilled to find out I’d got through this initial stage, and was asked to attend an audition in Birmingham the following week. This was getting real! The audition was an experience in itself – first was an exam-style test which saw us having to answer 30 general knowledge questions with the stopwatch ticking, followed by the daunting task of standing in front of 15 or so individuals who I’d never met before in my life and answering more general knowledge questions on the spot. 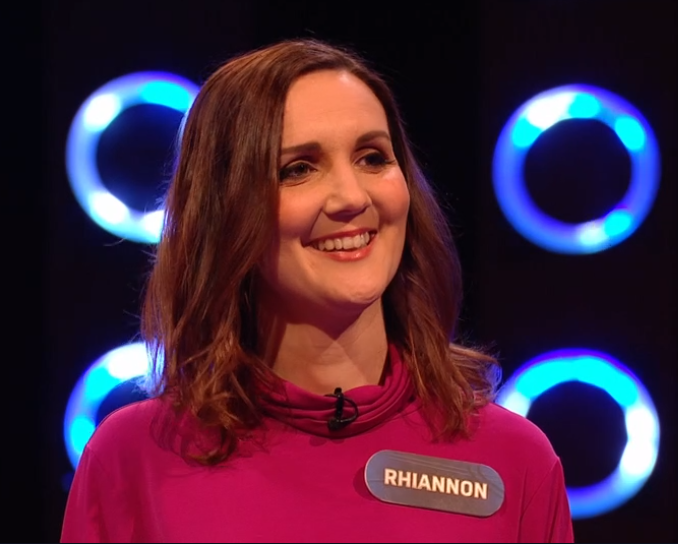 Some of the guys (and girls) that were at my audition were real game show pros, with a number already having made TV appearances on the likes of The Chase, Tipping Point, and even the 1990s phenomenon Supermarket Sweep! This was slightly daunting at first, but soon it was clear that not only was the casting team looking for a degree of intelligence and professionalism, but what was also important was personality, temperament, and spirit. And I was so excited – if not the tiniest bit afraid – when I was invited to head up to Glasgow to film for the first series. The next – and ultimate stage – of my gameshow journey was filming at the BBC Glasgow studios. I arrived at the studios on the city’s picturesque Pacific Quay on the Sunday morning complete with my five required outfit choices. The next few hours were a blur of briefings, bonding with fellow contestants, hair, and makeup, before being directed onto the studio floor – where we were introduced to the production team and, of course, the very handsome host, Ore Oduba. This was it! The format of the game is that each of the six contestants individually answers questions whilst being chased by the ominous ‘hardball’ which runs on a track in front of you. As soon as the ball passes you – it’s game over! The four who get through this first stage then go head-to-head in pairs, before the winners of each head-to-head battle it out in a buzzer round, with the last one standing flying solo in the final general knowledge round. The pressure of getting the question right whilst standing in front of a celebrity host, an entire production team and – not forgetting the cameras – was pretty intense. But also such a thrill – adrenaline literally pumping the whole time. My show aired on Friday 18th May and – for those who haven’t yet seen it – I didn’t win, but I certainly didn’t embarrass myself (or my friends and family) too much! Being a contestant on a gameshow was something I’d never imagined I’d do, but it was an absolute experience of a lifetime, and one that I am so proud of. I’m also hugely grateful to the Zen team for both the opportunity, and the encouragement throughout – and for helping me to push myself well and truly out of my comfort zone. When’s the next one?